I just started How to Get a Love Life by Rosie Blank. I started it about four months ago, forgot about it the hustle of things and it being on my Kindle app which sometimes I hate, and then remembered and opened back up. It was published in the UK and is absolutely adorable. It’s chick lit, which is not normally my bag — I say that, but I have loved quite a few books I’d call chick lit actually — but I’m really enjoying it. I hope to finish it by the end of the week because as my reward for getting ALL THE REVISING accomplished, I am buying Heir of Fire by Sarah J. Maas and may not speak to another human person until I have devoured it. I am doing a revision on my manuscript Of Blood and Promises. Mostly, it was prompted by really incredible notes from an agent I’ve been working with (not signed, don’t get too excited), but then as I considered her notes I began to see so many things come clear that it took on a life of its own. I am kind of killing this revision, and now that my son is in school, I have time to really knock it out. I hear Aiken move from the bed, shuffle across the room, and then lean against the door. After another moment he opens it. His face is washed in moonlight, revealing eyes hooded with sleep and hair mussed all over. He wears thin pants that hang from his hips and cling to his thighs, and for the smallest moment I forget myself, the reason Malia and I woke him… reason at all. It is work to force my eyes back to his face. He glances between us, waiting. I’ve been inspired by some really incredible YA high fantasy. I read The Winner’s Curse by Marie Rutoski and Finnikin of the Rock by Melina Marchetta, which are very different brands of high fantasy, and both incredibly well done. Still very much adjusting to my son starting Kindergarten. There is no doubt that he is ready, that he will flourish, but it is emotional to realize how big he’s getting, and how fast that’s happening. Great job on the revision! You can do it! I can’t wait to get my hands on HEIR OF FIRE – I’m so excited for it! I loved THE WINNER’S CURSE, too. Have a fantastic week! 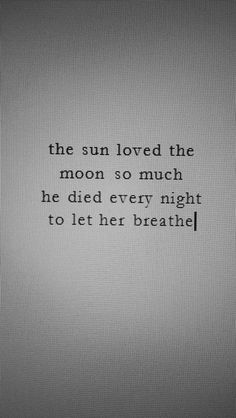 I love that quote about the sun and the moon so much. It’s on my Pinterest board for one of my stories — so evocative. Also, yay for kindergarten! I hope your kiddo is loving it! Congrats on your 9K new words, and have a wonderful week, Rebekah! Finnikin is such an incredible fantasy read! I love chicklit, one of those genres I always enjoy but always forget about when browsing. Marian Keyes writes some of the best! Congrats on getting agent feedback, I’m glad it’s helping you to see your story in a different way, good luck with the revisions! My youngest starts kindergarten tomorrow and I’m so excited for her. She can’t wait! LOVE the excerpt you shared! It sounds as though your R&R and is coming along really well. You’ve been so amazingly disciplined and it’s super inspiring. Hope you’re having an awesome week! I hope your son loves Kindergarten, my son started school last year and it was such a huge adjustment, I hope he loves it. Good luck with your revision, I loved your expert and the sun and moon quote too. Great snippet and yay for all the words! I’ve started working out again after taking a longer than needed break to heal from an injury. The doctor said a few weeks, so naturally I slacked the entire summer. Ah, well…I’m back at it now and loving the rush.